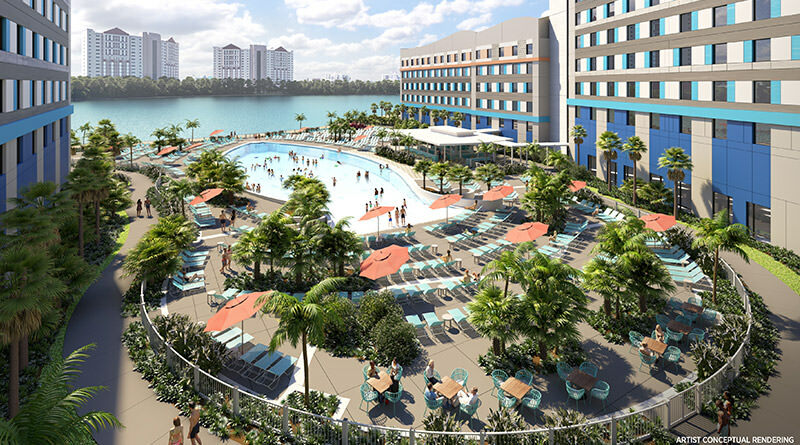 We are getting closer and closer to the opening of Universal’s Endless Summer Resort – Surfside Inn and Suites and Universal has decided to give us an extra look at the first value hotel coming to Universal Orlando Resort! The room pictures have been available for a while, but now we are getting a better look at the lobby, dining area, and pool area. Take a look! 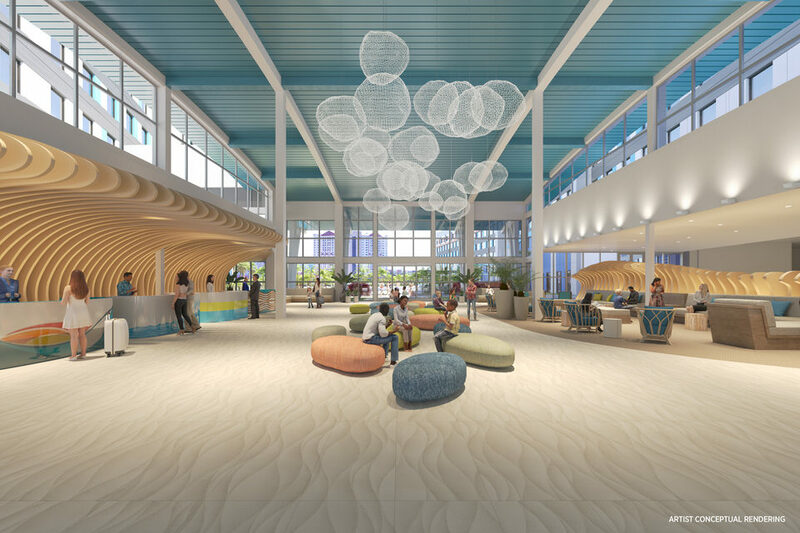 The lobby kicks off the ocean vibe right away with sand-colored flooring, surf and wave-like architecture, sea glass-inspired couches, and bubble light fixtures like you’d see from a crashing wave. The quick service eatery will carry over the theme by placing you right under a line of surfers waiting for the perfect wave. Out at the pool, you’ll notice it’s shaped like a surfboard! If you’d like to see the rooms, check out our article on them! Universal’s Endless Summer Resort – Dockside Inn and Suites won’t open until 2020, but Universal also gave a look at some concept art of the sister resort! Take a look! 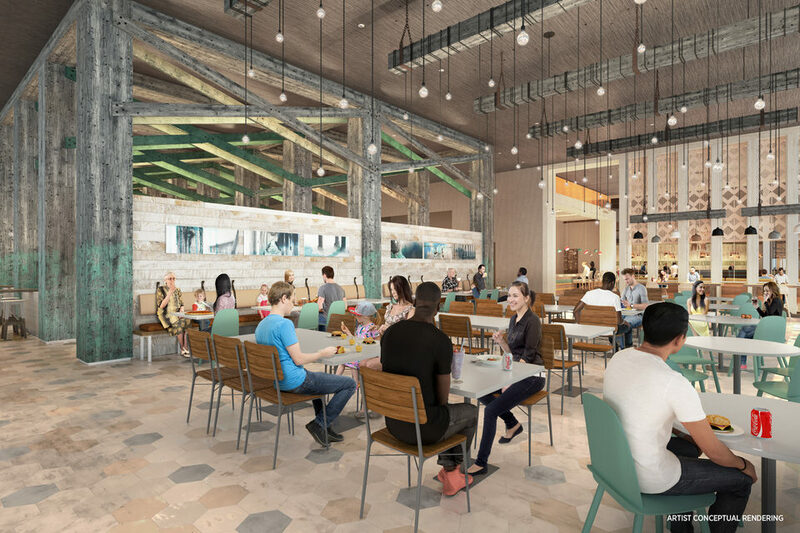 The lobby will featured a ton of natural woods and colors that represent a pier along with driftwood that you’d find at a sunset beach bonfire. The dining area puts you right under the pier and right up against the shore with even more wood and natural colors. 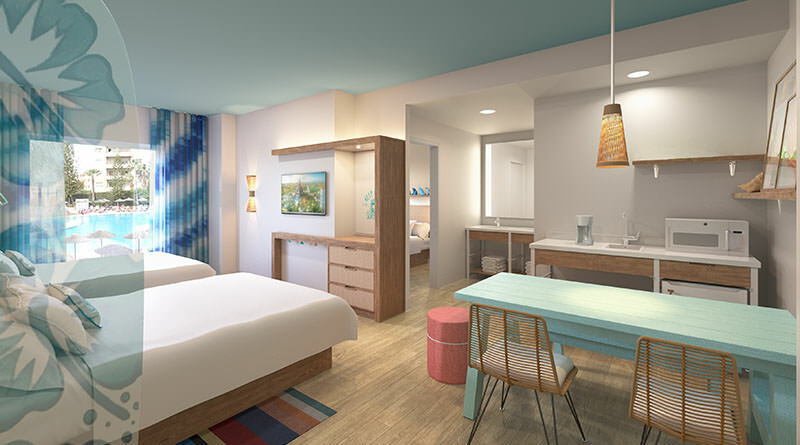 Universal’s Endless Summer Resort – Surfside Inn and Suites will open June 27, 2019 with Dockside Inn and Suites following in May 2020. Universal’s Endless Summer Resort will have price points starting at $73 a night for a standard room and two-bedroom suites starting at $111. 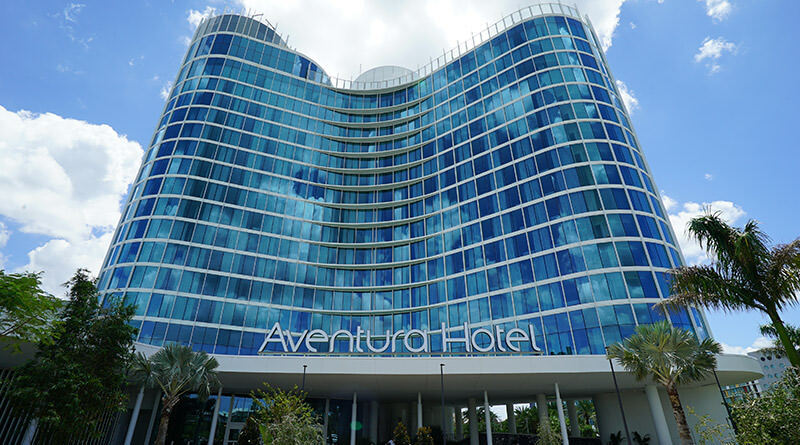 Both hotels are open for reservations now and, as always, we recommend Dreams Unlimited Travel to help you plan the perfect Universal vacation!